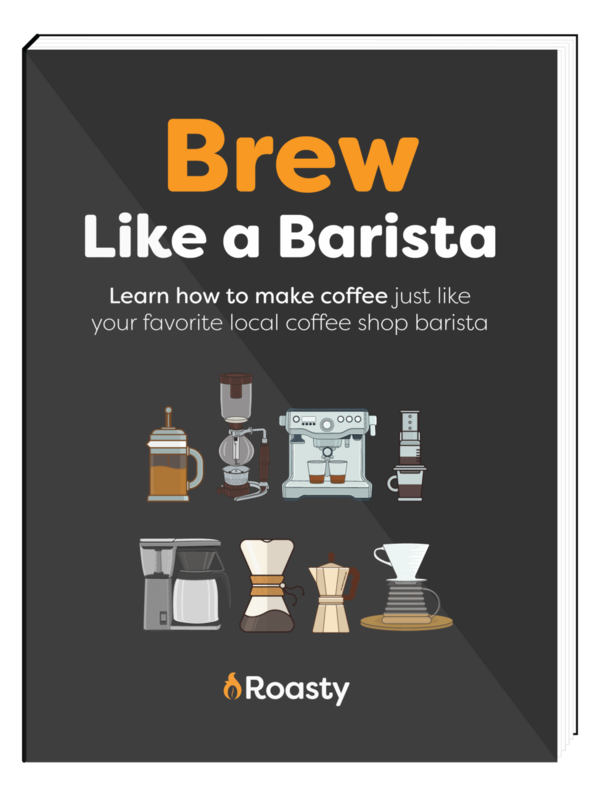 While there are definitely coffee purists out there that insist on taking their coffee black believing there is no other way that coffee should be served, there’s a lot more people that need a little something else in their coffee. Not everyone enjoys drinking their coffee with nothing added, with many people choosing to add cream, milk and a variety of sweeteners to their coffee to enhance, in their opinion, the flavor of their coffee. Many people find the taste of unsweetened coffee too bitter, and need to add a little something to it that sweetens the taste. However, when it comes to sweetening your coffee, there are many different options available to you outside of plain white sugar. In fact there are many different kinds of sweeteners available to you that will not only get rid of that bitter taste of black coffee, but also there are sweeteners that will help you flavor your coffee creating a rich taste that you may have never even experienced before. Sugar is, by far the most common type of sweetener used for both coffee and tea. But there are several types of sugar you can use to give your cup of coffee the perfect sweetened taste you are looking for. The most common sugar used by coffee drinkers, you can find this processed sugar in many forms ranging from its regular granulated form, to more finer ground forms such as powdered sugar, although this form is rarely used in sweetening coffee. Brown sugar offers a heavier flavor compared to white sugar, and is made by adding molasses back to the sugar during processing. This makes brown sugar heavier and moister making it more prone to clumping. Raw sugar is much like brown sugar, although it hasn’t gone through any type of processing. This means that the molasses is left intact and has not been removed. The flavor is lighter compared to brown sugar but the texture of it is more course. In an effort to cut calories, many people have been making the switch to artificial sweeteners over the years. Debate continues to rage over whether or not artificial sweeteners are safe and actually better for you than the real stuff, but given their popularity and widespread use, they still make it on the list. Splenda is the brand name for a sucralose sweetener. Sucralose is made from real sugar using a process known as chlorination. By adding chlorine to the sugar molecule, it becomes completely useless to your body and is not broken down as a result. Splenda contains no calories and is 600 times sweeter compared to natural sugar. Equal and Nutrasweet are the two most popular brand names for sweeteners made with Aspartame. Aspartame is not like sucralose, as it is a fully artificial product. The full chemical name for is L-aspartyl-L-phenylalanine methyl ester. Its base components are actually protein molecules that can be found in many meats and dairy products. Aspartame is about 200 times sweeter than natural sugar and has virtually no calories. However, there has been much debate and controversy about the health risks associated with the use of Aspartame. Sweet’n Low is the brand name for a sweetener product that uses a mixture of dextrose and saccharin in its products. In this mixture, the saccharin is the actual sweetener while the dextrose is used to dilute the saccharin. Saccharin is 300 to 500 times sweeter than natural sugar but contains no calories because the body does not digest it. In the 1970s it was associated with bladder cancer but has since been declared safe to use, although there is still some debate about its safety even today. Instead of using sugar or some of these other artificial sweeteners with questionable health reputations, why not try a few natural alternatives and let nature do the sweetening of your coffee for you. While honey may contain more calories compared to sugar, it is still a much healthier alternative because of how it causes your body to react. Unlike sugar, honey won’t cause rapid spikes or drops in your blood sugar levels that cause increased hunger. On top of that, honey contains many vitamins and minerals that your body needs such as magnesium and potassium and various B vitamins. Honey is also an antioxidant and even acts as an anti-fungal and anti-bacterial agent and has been shown to even aid in digestion. Another of natures most natural sweeteners, maple syrup can help you sweeten that hot cup of coffee while also improving your health. Researchers have found that maple syrup contains the same antioxidant compounds that are in berries. Many of these compounds have been shown to have anti-diabetic, anti-cancer and anti-bacterial properties as well. It’s important when buying syrup to be sure you purchase all natural syrup, as the artificial versions contain none of these benefits. A byproduct of sugar production, molasses has been shown to also have antioxidant properties. In fact, of all the natural sweeteners, dark and blackstrap molasses have shown some of the highest antioxidant properties. The taste may take a getting used to, however. Molasses has a strong, spicy flavor that will do more than just sweeten your coffee, it will change the flavor as well. When trying it for the first time, use just a little molasses and add more slowly until you reach a taste that is to your liking. Stevia is a natural, no calorie sweetener that has been extracted from the South American stevia plant. This extract is 300 times sweeter than sugar, but it does not have the same effect on blood sugar levels, meaning it is a great sweetener option for diabetics. Studies have shown that regular use of stevia may lower both systolic and diastolic blood pressure in those with high blood pressure. It also has antioxidant properties and is considered an antimicrobial, anti-inflammatory, anti-diarrhea and anti-tumor as well. In addition to the classics we have listed above, there are still other ingredients you can use to sweeten your coffee and even give it a unique flavor in the process. Switching from sugar to cinnamon is a great way to liven up your cup while shaving off a few calories in the process. Cinnamon can provide both a sweet and spicy upgrade to your normal cup of coffee and it provides several health benefits at the same time. For example, cinnamon has been shown to help boost your immune system allowing you to fight off infections much more quickly. For the really adventurous, try brewing your cup of a coffee with a cinnamon stick to create the Mexican drink cafe de olla. Like cinnamon, nutmeg will not only sweeten your coffee, but it will spice it up as well. At the same time, it a good, healthy alternative to traditional sugar. Nutmeg is a good source for manganese which is needed by our bodies. Since this will spice up your coffee as well as sweeten it, go slow just adding a little to your coffee at first so you don’t overpower it with nutmeg. Cocoa powder can both sweeten and spice up your coffee at the same time, depending on what kind you choose to purchase. Cocoa powder is a good source of protein, potassium and much more. However, it is high in saturated fat and the sweetened variety is even worse for you, so try to use it sparingly. Instead of depending on other sweeteners, try adding just a drop or two of vanilla extract to your coffee instead. This will give it a unique flavor while sweetening it at the same time. Just be careful not to use too much as a little goes a long way. For an even more unique flavor, try replacing vanilla extract with almond extract. While this may be both a sweetener and a creamer, ice cream is a great way to enjoy a cup of coffee on a hot day. The sugar and flavoring in the ice cream will sweeten the coffee while the cream will thicken it at the same time creating a true dessert drink. Anyone who loves coffee and ice cream should give this one a try. While there is nothing wrong with choosing to take your coffee black, it’s not for everyone. 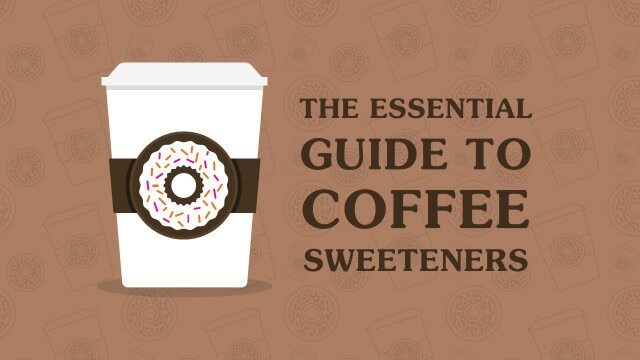 Luckily, there are many different sweetener options available to you that can be used to sweeten your coffee while at the same time creating a unique taste and experience compared to that plain old cup of joe you brew every morning. So why not live a little and experiment with your coffee. You could find that you discover a sweetener that you love in the process. So the next time you brew yourself a cup of coffee, consider trying one of these sweeteners to liven up your coffee and create a new taste bud tingling experience that will not only wake you up in the morning but also will have you coming back for more. Mad for Mochas? So are we, and this hazelnutty mocha does not disappoint! With a sweet hazelnut spread base, this beverage will surely add a little intrigue to your next coffee treat. A perfectly sweet, perfectly easy drink to start your day off with! This wonderfully easy white mocha has just the right amount of chocolatey goodness to make your morning seem a little extra special!